I feel like I need to take a deep breath before I even start this post. VidCon was this past weekend, and it was one of the most amazing experiences I've ever had. I learned so much, met some amazing people, and gained even more passion/motivation for my blog and YouTube channel. It was incredible to be surrounded by so many like-minded people and creative minds. 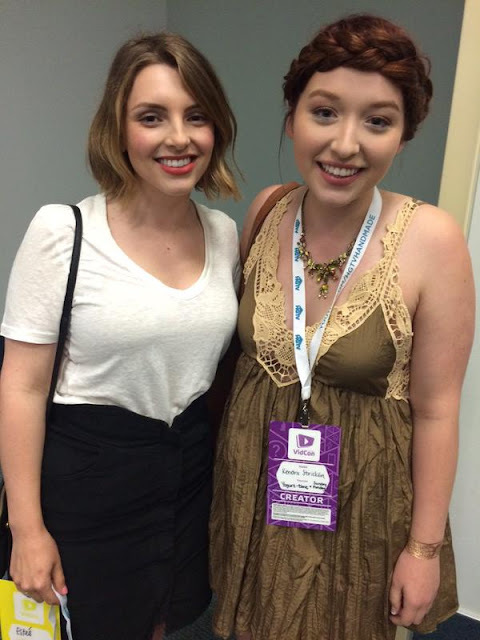 I went with one of my best friends, Joycie (from Much Ado About Nothing), and we both got creator passes. I'm very glad that we did, because we were able to attend super helpful panels featuring larger and more knowledgable YouTubers, and man, did we learn a lot! There were seriously panels on everything you can imagine, and we got to meet a lot of the YouTubers after their panels! It was nice to meet them on a more "professional" level, and to be able to ask them questions and for advice. I took a lot of notes, and now I feel like I can make a serious game-plan on how to grow my blog and channel, and I'm so excited! 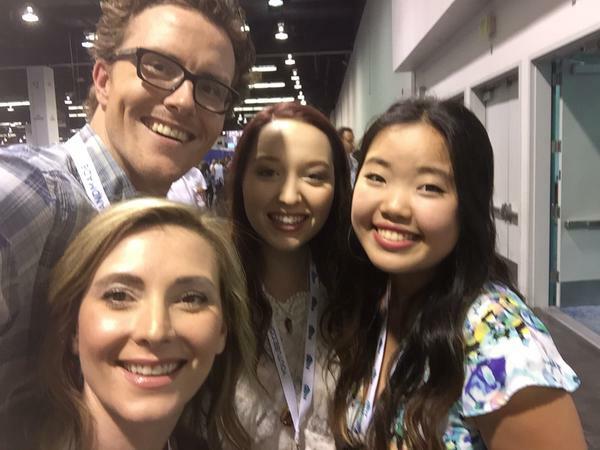 During VidCon, I also got to be a part of a mentorship program in which I got two sessions with two different mentors (who turned out to be Nikki Phillippi and Meghan Camarena from Strawburry17!!). 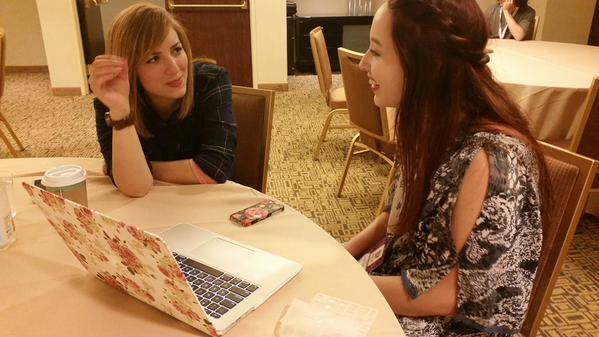 I was able to show them a video I had made, and ask them questions and advice specific to my channel. They were both extremely nice and helpful, and the sessions were super invaluable! Here's Meghan and I at our session! I cannot thank them enough for the advice they gave me, and I really hope to meet them next year again with much more success from the advice they gave me! I've set some goals for myself for this next year until VidCon 2016, so hopefully I'll be able to tell them how much I've achieved! With Creator passes, we were basically allowed to do everything that Community people were, except get into the signing hall, which was just fine with me. I loved being able to go the main expo hall and go around to the booths, but then also go to the second floor - that only people with Creator and Industry passes could get into - to attend really helpful panels. I don't do too well with the whole running and screaming crowd thing, so it was nice to have our calm second floor to go to that was much more relaxed. We had our own lounges that we could relax in, and oddly enough, I was able to find gluten-free and vegetarian food on the second floor! That was definitely a plus, because I had the hardest time finding food that was both gluten-free and vegetarian. We ended up eating most of our meals at the Baja Fresh inside the Hilton, since Mexican food can easily be made with corn tortillas and without meat. 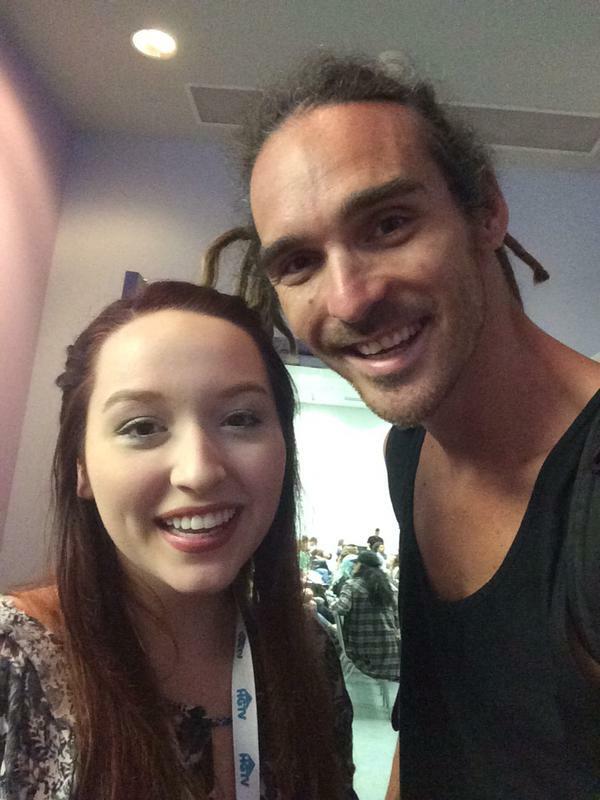 Anna and Jonathan from the SacconeJoly's! 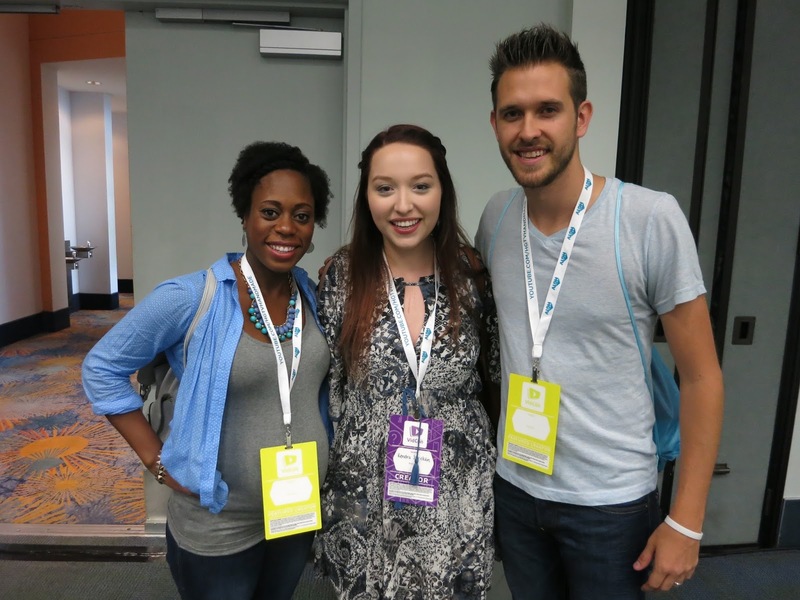 Austin and Brittany from the Nive Nulls! All of the YouTubers I met were so incredibly nice, and were willing to meet all of us! It was so cool to be able to meet them in real life, and to ask them questions. It just makes me even more excited to grow my blog and channel! I have big plans for this next year, and I am seriously ready to hustle in order to make my dreams come true. 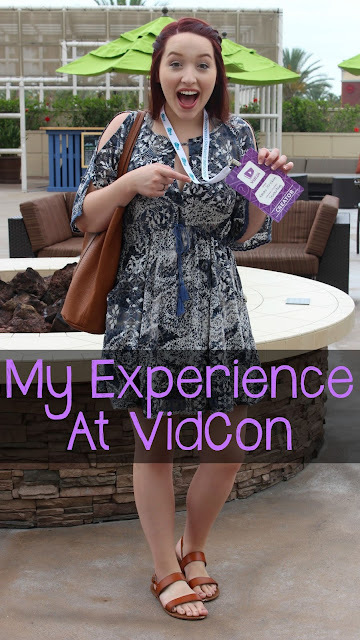 I figured I would be inspired after VidCon, but I really didn't know just how pumped I would be! 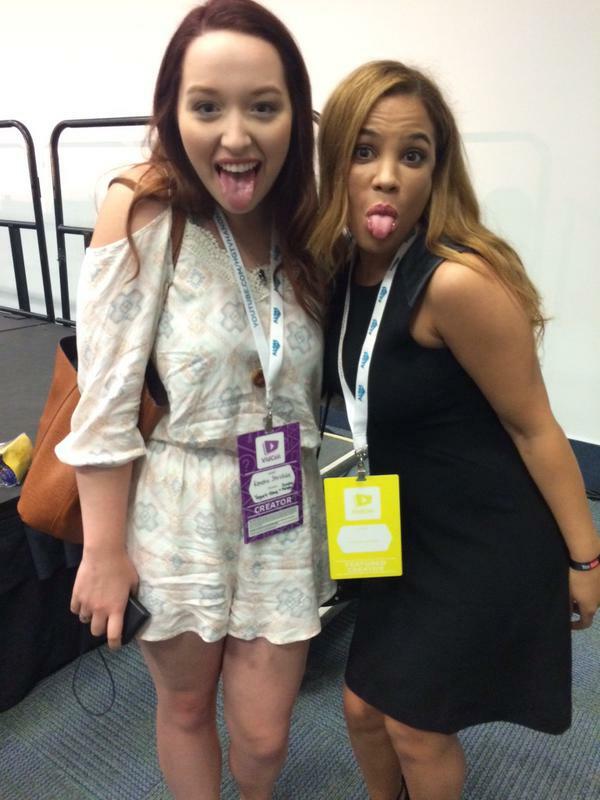 Although I'm sad VidCon is over, I still have this passion that is making me so excited for the future. I am even more dedicated to making my dreams come true; it will happen! Don't ever let anyone tell you that you can't achieve something. I am so ready to prove all of those people wrong! Together we can do anything - so get excited for this next year! I also just want to thank all of you guys who are following me, subscribed, or have supported me in any way shape or form! I am extremely grateful to you guys, and I'm so happy you're a part of our little family. With time it'll just get bigger and bigger, and even more supportive of all of us! We are all in this together (cue High School Musical music), so let's make this next year great! (Okay that sounds weird because in fact it is the middle of the year, but ya'll know what I mean). Thank you so much for reading, and have a wonderful day! 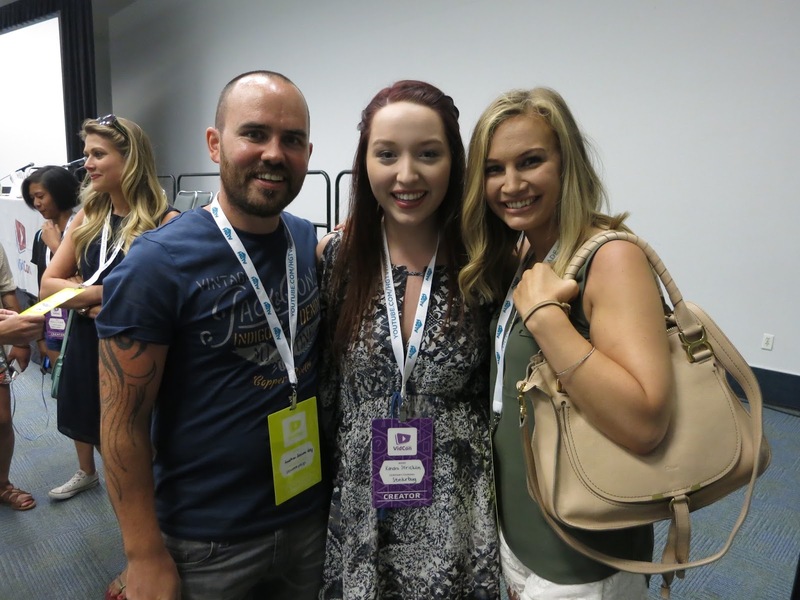 I am kind of jealous that you have met the Saccone Joly's! I love them so much. It's not because I'm Irish or anything. 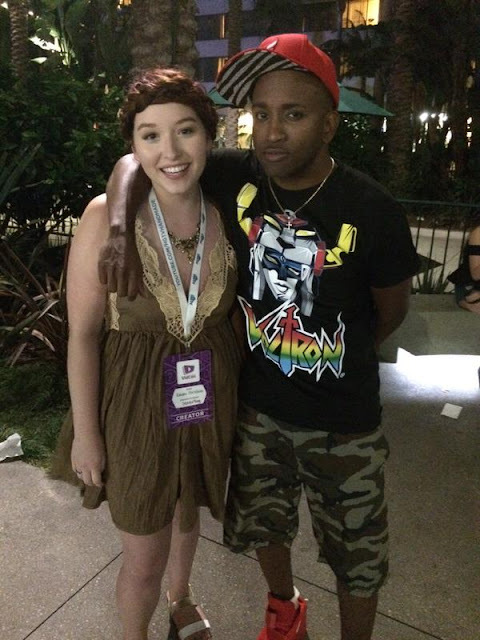 I always think of vidcon as a place for fans to get the traditional selfie and autograph so it was nice to see the experience you had and that you got so much advice. Looks like you had fun! 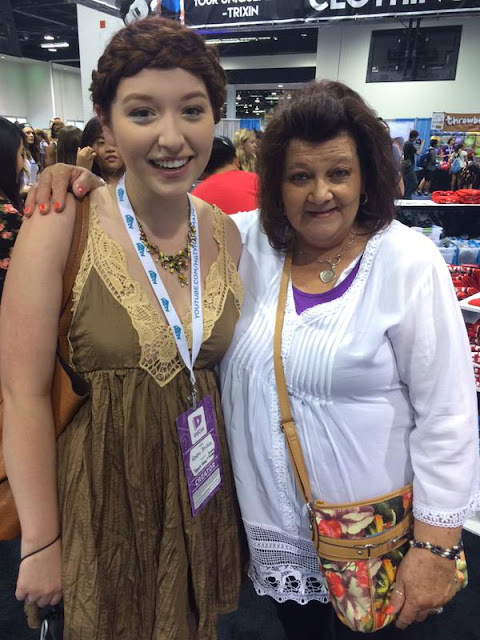 Love the pictures and so jealous you got to meet all those people! 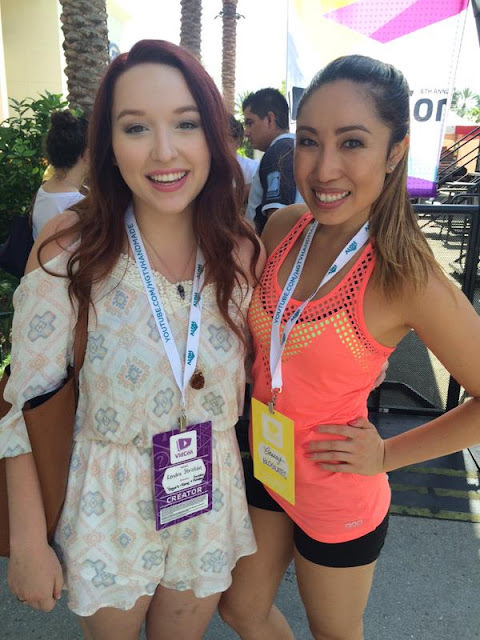 Ahh, I am SO jealous - VidCon always sounds like an amazing time!! Really cool idea to go for the Creator side! love your outfits! you look great!